During their lifetimes, Alfred Russel Wallace and Charles Darwin shared credit and fame for the independent and near-simultaneous discovery of natural selection. Together, the two men spearheaded one of the greatest intellectual revolutions in modern history, and their rivalry, usually amicable but occasionally acrimonious, forged modern evolutionary theory. Yet today, few people today know much about Wallace. 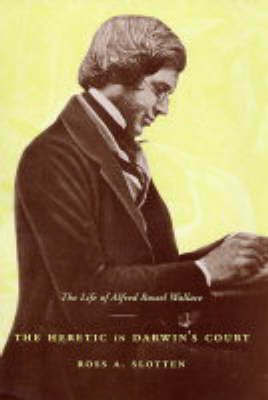 The Heretic in Darwin's Court explores the controversial life and scientific contributions of Alfred Russel Wallace-Victorian traveler, scientist, spiritualist, and co-discoverer with Charles Darwin of natural selection. After examining his early years, the biography turns to Wallace's twelve years of often harrowing travels in the western and eastern tropics, which place him in the pantheon of the greatest explorer-naturalists of the nineteenth century. Tracing step-by-step his discovery of natural selection-a piece of scientific detective work as revolutionary in its implications as the discovery of the structure of DNA-the book then follows the remaining fifty years of Wallace's eccentric and entertaining life. In addition to his divergence from Darwin on two fundamental issues-sexual selection and the origin of the human mind-he pursued topics that most scientific figures of his day conspicuously avoided, including spiritualism, phrenology, mesmerism, environmentalism, and life on Mars. Although there may be disagreement about his conclusions, Wallace's intellectual investigations into the origins of life, consciousness, and the universe itself remain some of the most inspired scientific accomplishments in history. This authoritative biography casts new light on the life and work of Alfred Russel Wallace and the importance of his twenty-five-year relationship with Charles Darwin.